We’ve all seen the headlines about robots coming to take our jobs, but what’s less talked about is how technology – albeit not robots for the most part – is already making significant inroads into HR. Bersin, part of Deloitte Consulting, says the combination of digital technologies, a younger and multigenerational workforce, continuous performance management and team-centric organisational design have fundamentally changed the work environment and brought with it the need for a new set of HR software tools and platform features. “As companies adopt a digital mindset, leaders recognise they need to implement a new array of tools to improve productivity, alignment, goal transparency, feedback methods, wellbeing and team networks,” says Josh Bersin, Deloitte Consulting principal and Bersin founder. From recruitment, through onboarding, learning and development, payroll and benefits and performance management and feedback, it seems all areas of HR are open to disruption from technology. On the recruitment front, Steve Scarbrough, general manager Dynamics Solutions for Intergen – Empired’s New Zealand business – says reactive recruitment is a dated approach which often fails to identify the best talent, and only gives businesses insight into who is available right now. Instead, he says using data driven technology to build an online talent pool, is now required. “There is masses of data [online] about professionals in any industry. Savvy businesses can mine that data to create talent pools from which they can draw potential recruits when they need to hire,” Scarbrough says. While talent pools aren’t a new concept, technology is making them increasingly easy. By creating and mining talent pools all year round, using tools such as LinkedIn’s integration with Microsoft Dynamics 365, Scarbrough says companies can identify and attract the best possible candidates – including those not actively searching – for roles, regardless of when they become available. He says online talent pools enable companies to start communicating with potential candidates before a role is available, weeding out those who aren’t a good fit and avoiding wasted time in the active recruitment stage, while also branding itself as a desirable place to work through its communication with potential candidates. Creating online talent pools is just one way technology is changing HR, from recruitment to performance reviews, and enabling a way to improve employee experiences, automate tasks, and provide insights to improve talent strategy and decision making at a time when many markets are experiencing talent shortages. Artificial intelligence is also promising change for recruitment, potentially stripping away biases in recruiting – so long as the algorithms used are themselves unbiased, of course. 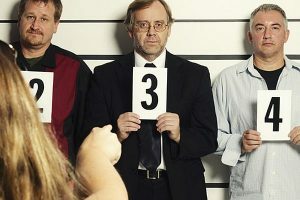 Increasingly, candidate interviews are being videoed and analysed by AI, with some companies first using neuroscience-based games to evaluate a candidates personality traits. Companies including IBM, Unilever, Cathay Pacific, Intel and Hilton are among those who have used HireVue, an on-demand video interview platform which combines video interviews with AI. AI is also enabling internal talent development, with Bersin noting software is available to intelligently recommend videos or learning programmes to employees. Bersin’s HR Technology Disruptions: The HR Tech Market Reinvents Itself report also highlights the move of ERP and HCM into the cloud. But while fresh technology abounds in the HR space, a recent study found that HR leaders across Australia and New Zealand are lagging behind their global counterparts when it comes to embracing technology to improve employee experience. The New CHRO Agenda: Employee Experience Drives Business Value report, from ServiceNow, says 16 percent of HR leaders in Australia and NZ don’t use technology in a meaningful way, with only 47 percent saying the HR function is a driver of digital transformation at their company. In Japan and Singapore, 67 percent say HR is a driver for DX at their companies.